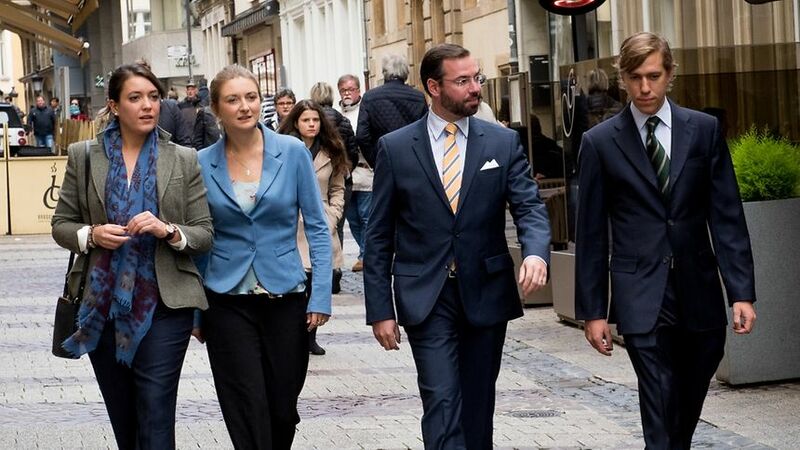 Earlier today, Hereditary Grand Duke Guillaume and Hereditary Grand Duchess Stéphanie as well as Prince Louis and Princess Alexandra cast their vote in Luxembourg's municipal elections. (Why yes, the Grand Ducal Family does have a right to vote and regularly excercise it.) 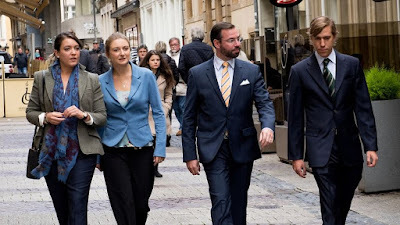 The Hereditary Grand Duke, his wife and siblings participated in the elections at the Ratskeller polling station in Luxembourg city. Wort has videos of them here and here and Tageblatt offers a gallery of visuals - and yes, I did think it was slightly funny that they all got out their passports to prove their identities when at the polling station.